Former Sony Sugar coach Francis Baraza has been appointed to serve as Western Stima head coach on a one year deal. Baraza takes over the job immediately and will commence with a recruitment exercise at the club formerly coached by Henry Omino who was shown the door at the end of last season for failing to achieve his target. Former Harambee Stars assistant coach Leonard Saleh previously with Division One League side Agro Chemicals had been appointed after a competitive interview process but the latter got a better deal and did not take over the job forcing team officials to review their appointment. “He is a great coach and we know he will be able to give us the results we want. He has been tested before and we believe in his abilities. He will start the job immediately and will guide us on the way forward.” Said Western Stima chairman Laban Jobita during the coach’s unveiling on Friday. 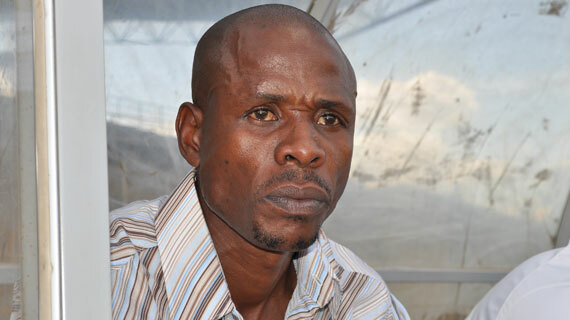 Baraza who previously served as Harambee Stars assistant coach under coach Francis Kimanzi had also been linked with a likely move to Nzoia United where he attended interview last week and was among the top three candidates likely to take over the Sugar team currently in the Division One Zone B league where they finished second behind promoted Homeboyz. Baraza beat Former AFC Leopards head coach Jan Koops and Ugandan U-20 head coach Paul Nkata who were among those tipped for take over at Bukhungu stadium.